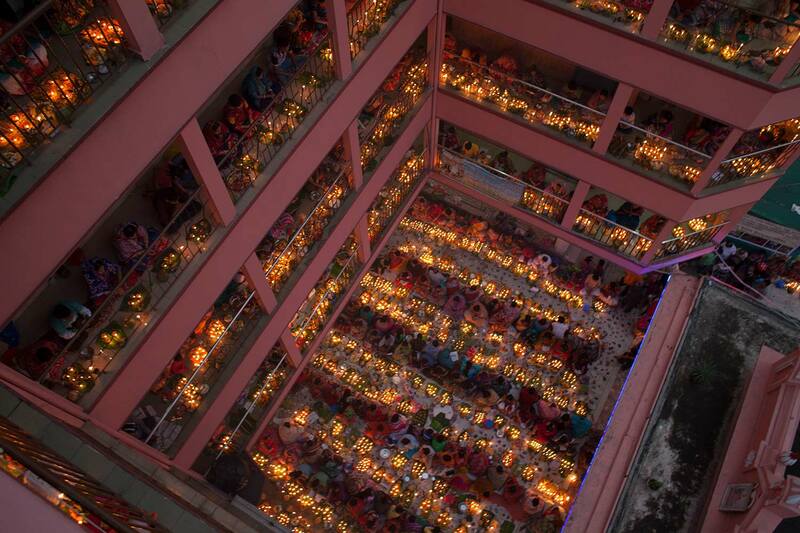 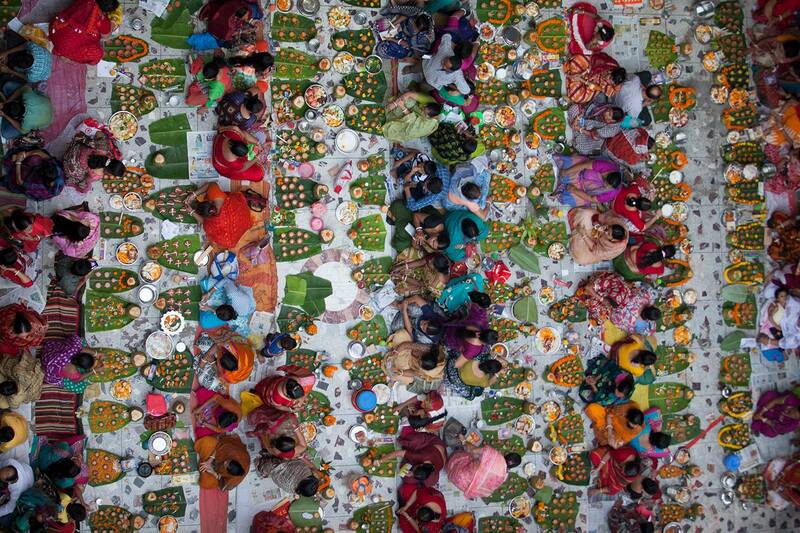 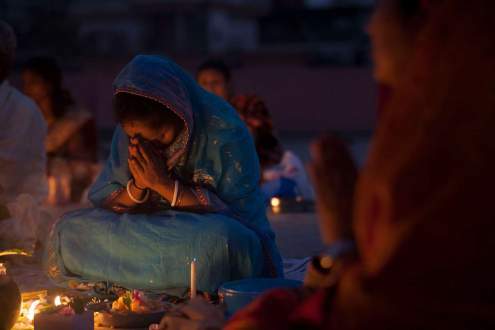 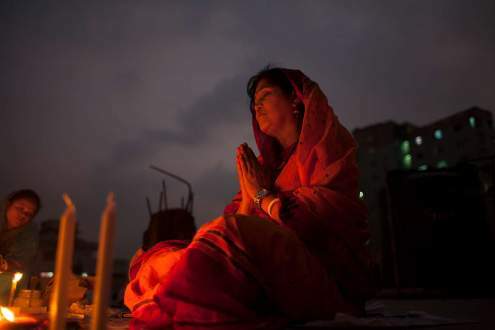 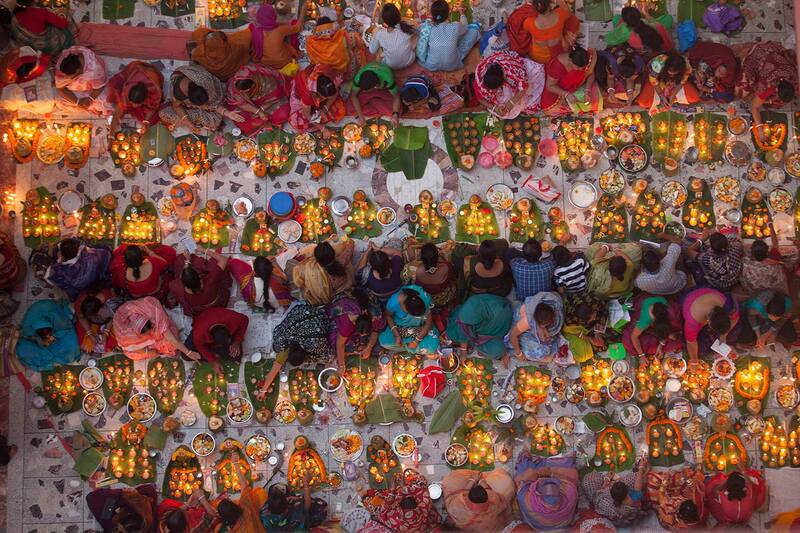 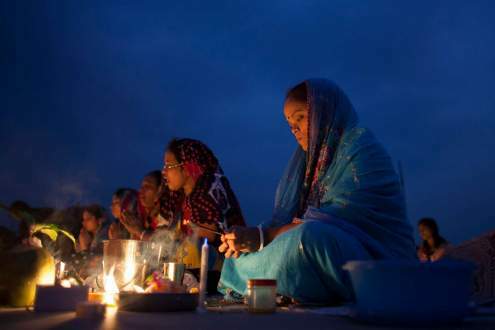 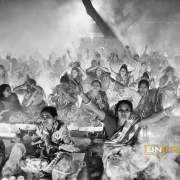 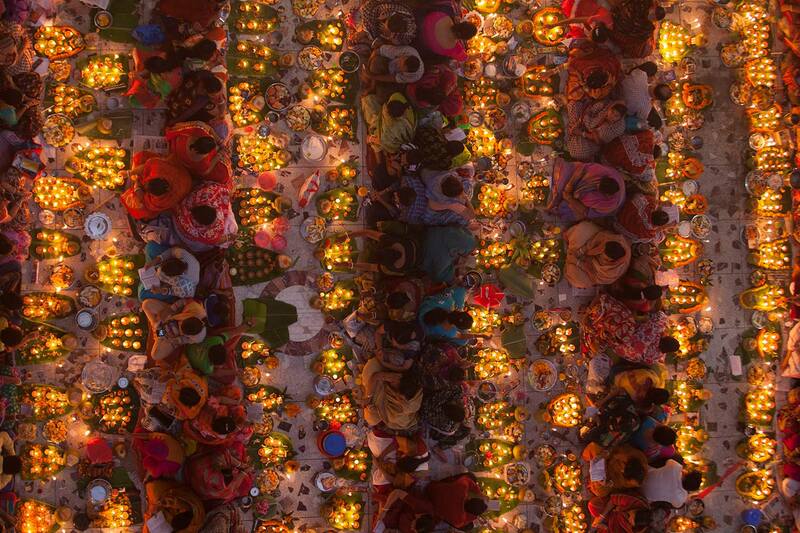 Thousands of Hindu devotees sits with Prodip and prays to God in front of Shri Shri Lokanath Brahmachar Ashram temple during the Rakher Upobash at Dhaka, Bangladesh. Lokenath Brahmachari who is called Baba Lokenath was an 18th Century Hindu saint and philosopher in Bengal. 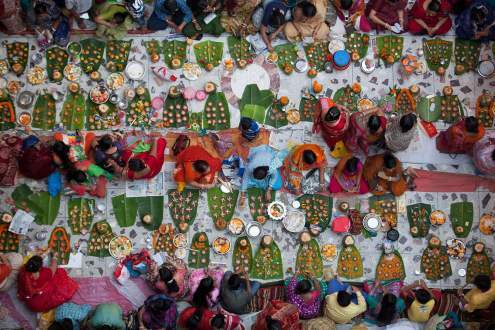 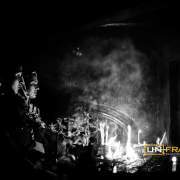 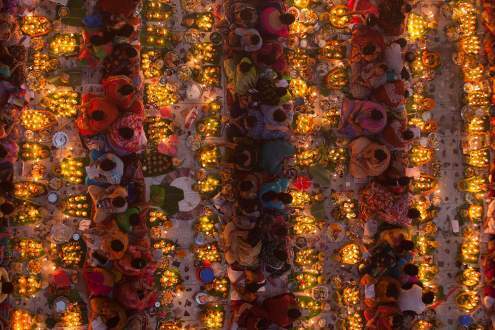 Hindu devotees fast and pray in earnest to the gods for their favors during the ritual called Kartik Brati or Rakher Upobash traditionally.